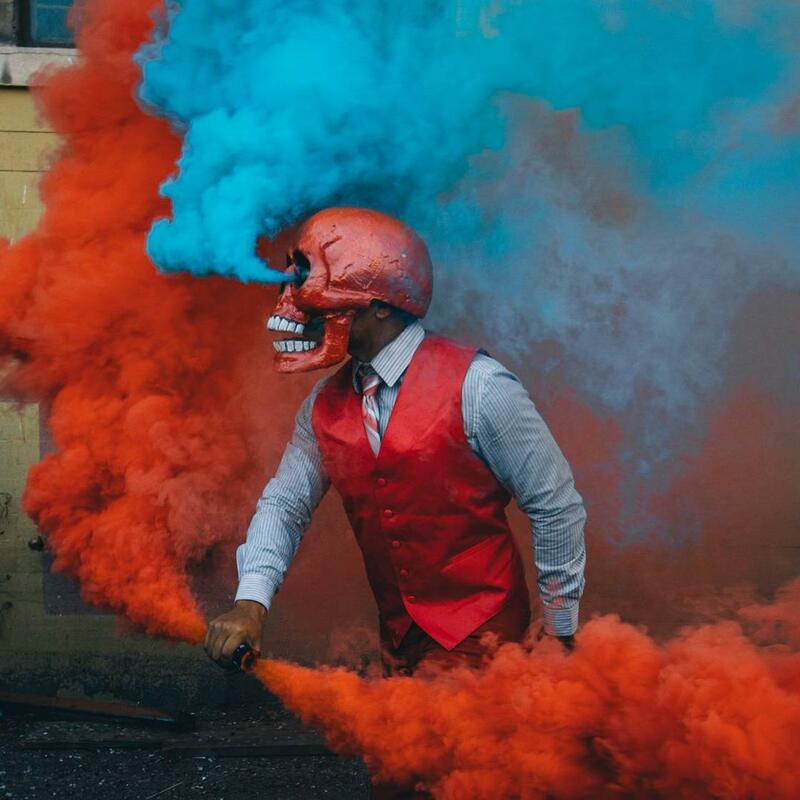 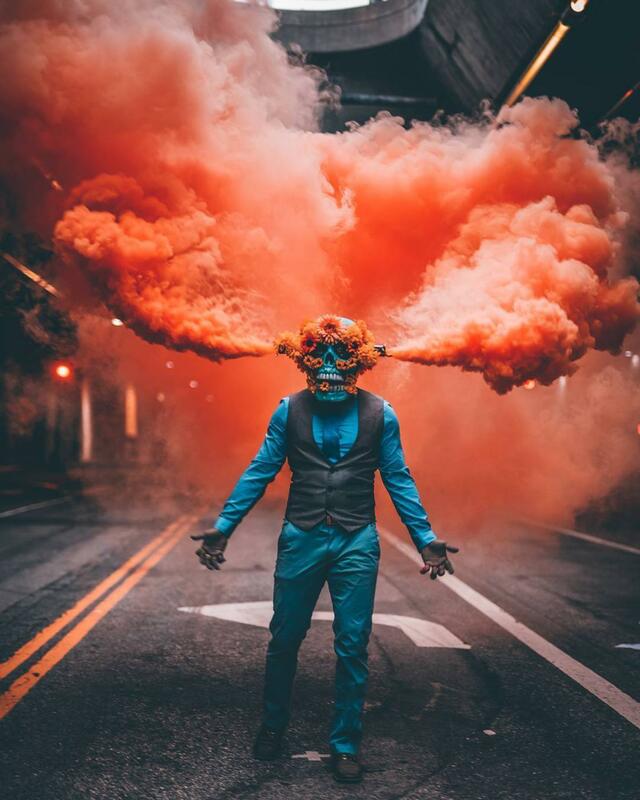 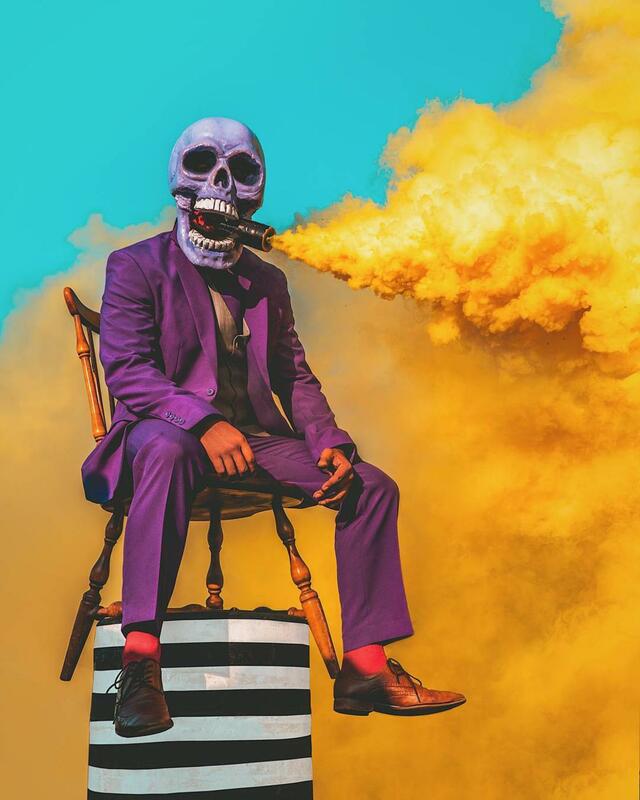 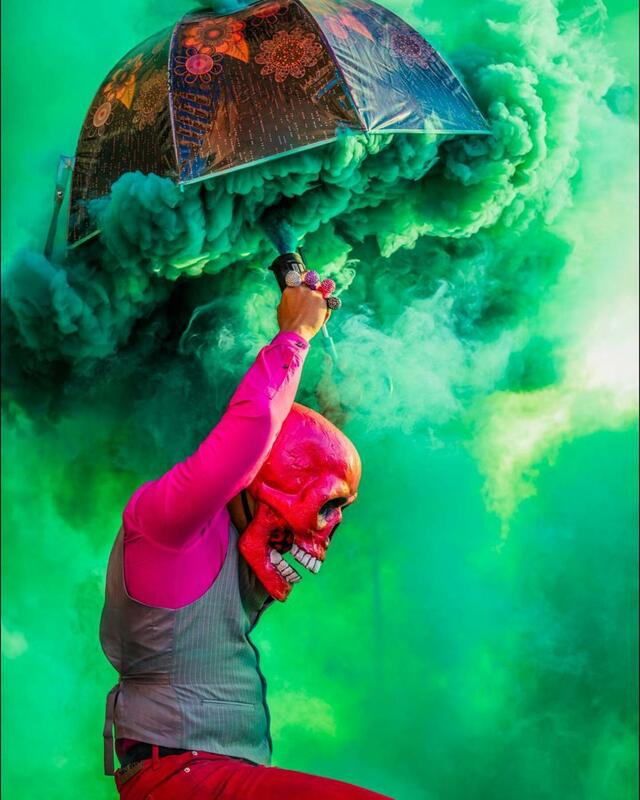 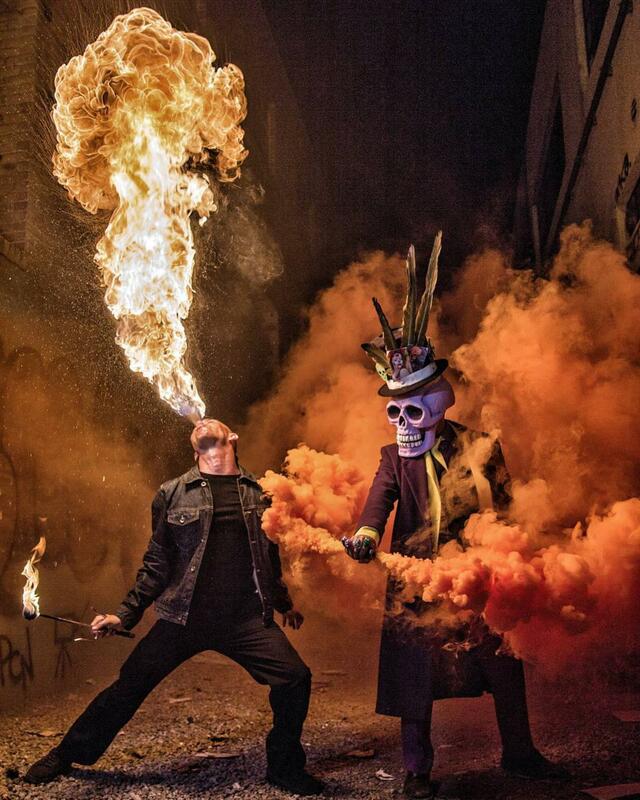 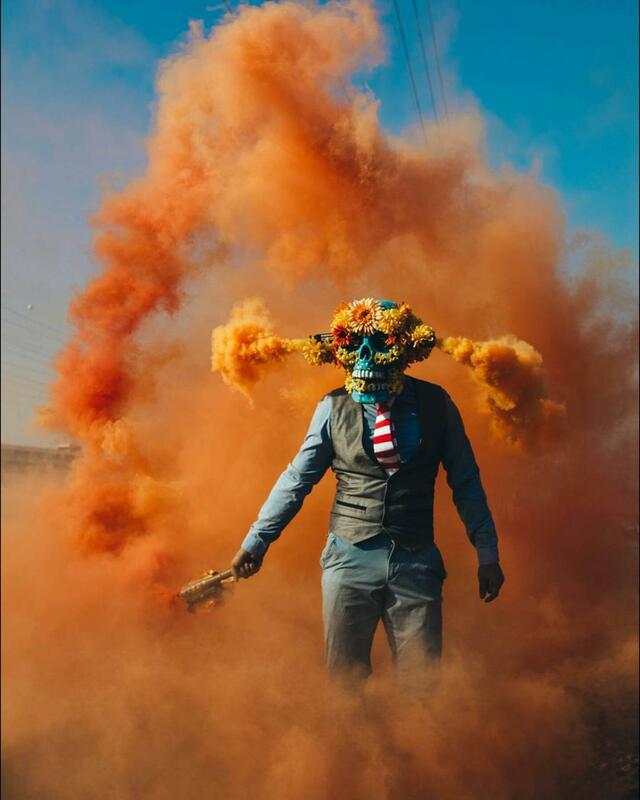 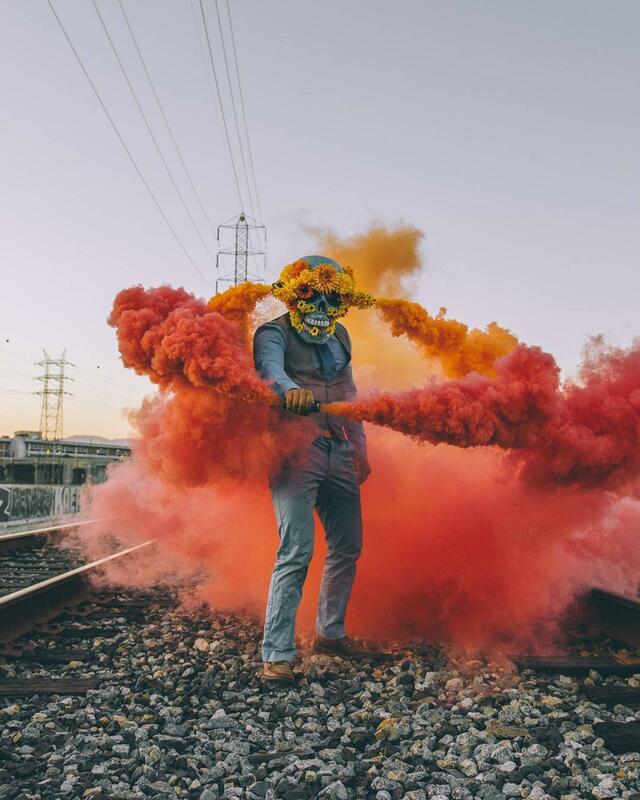 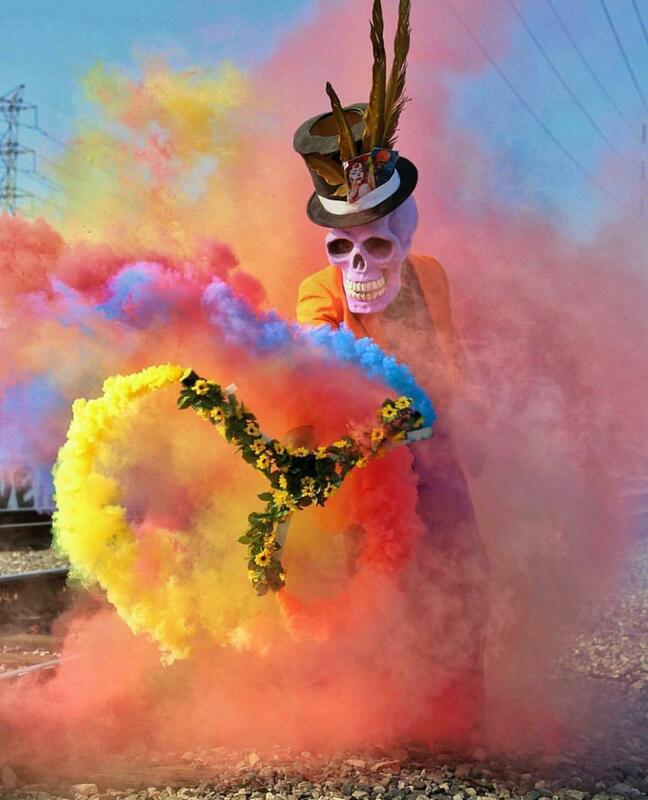 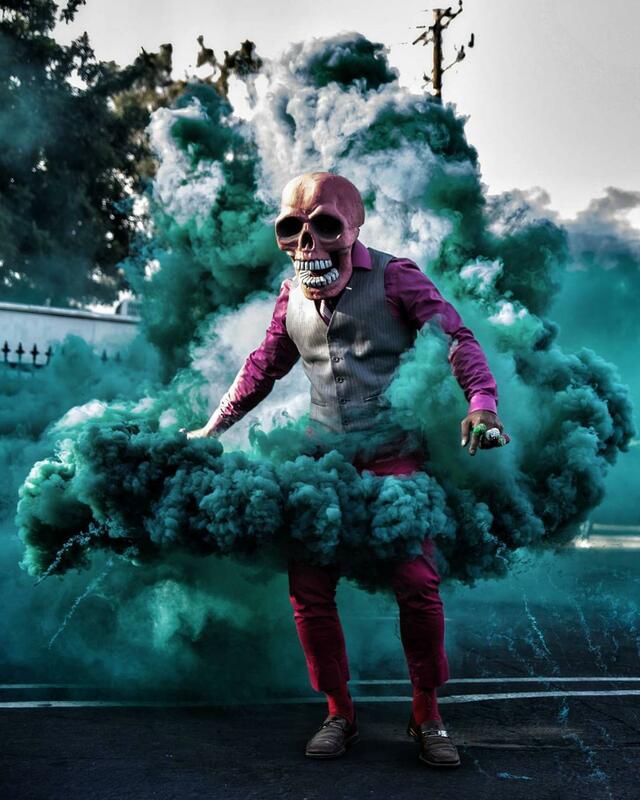 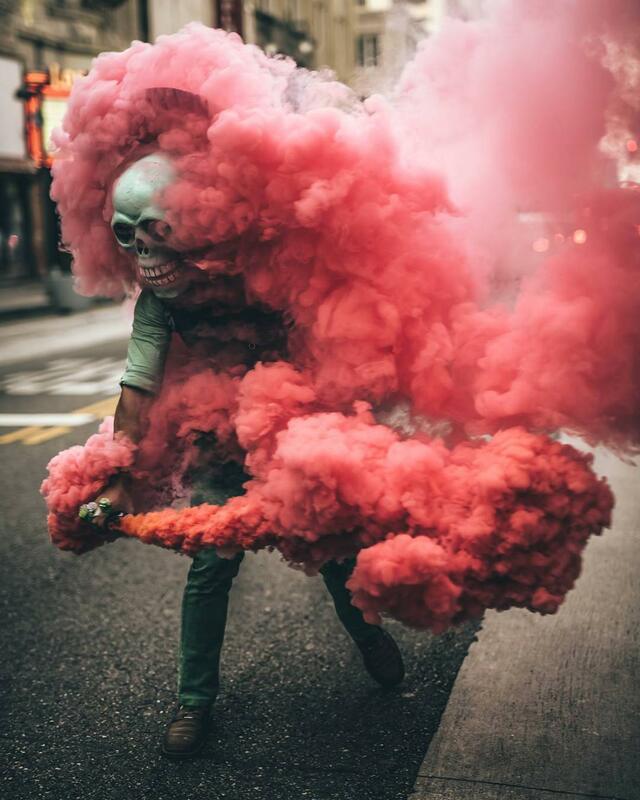 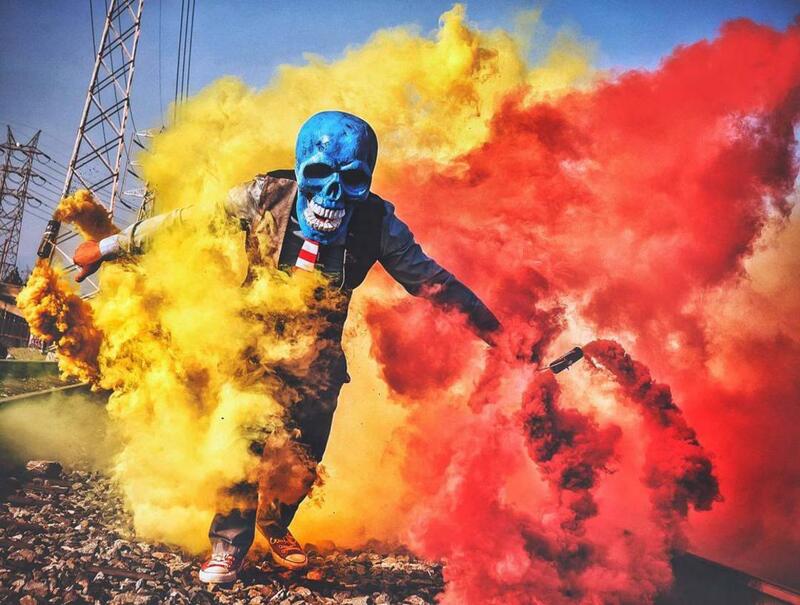 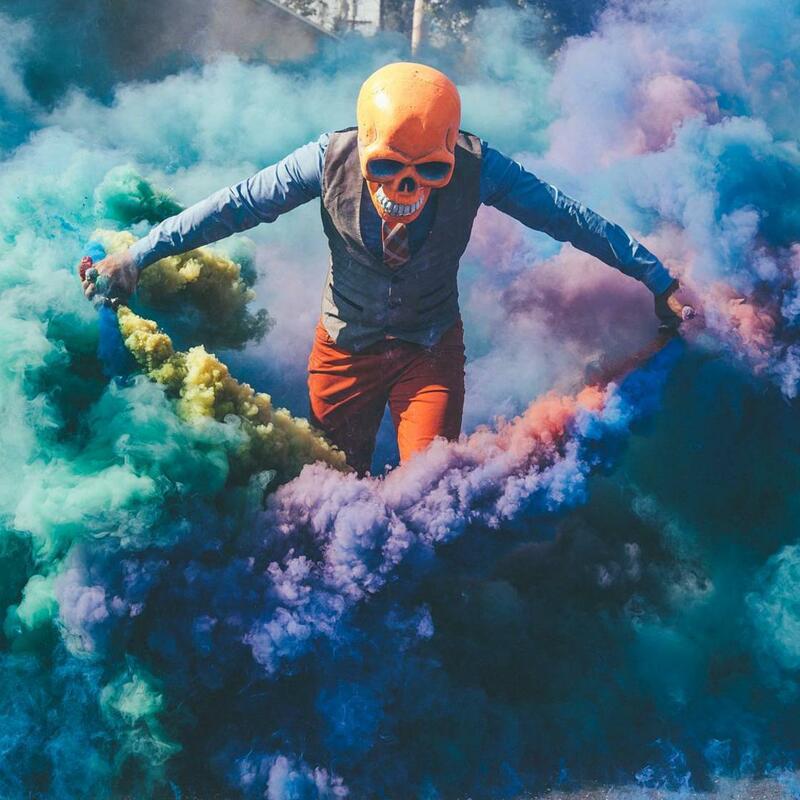 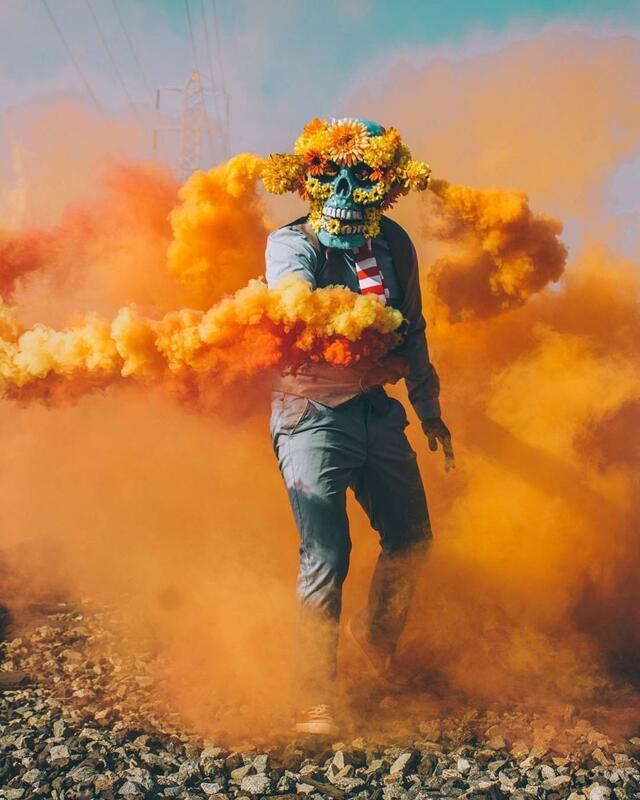 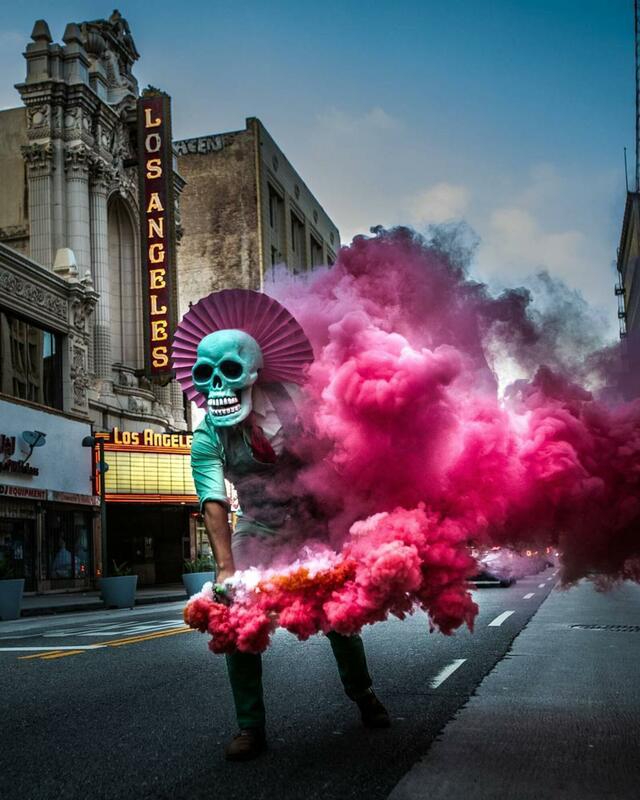 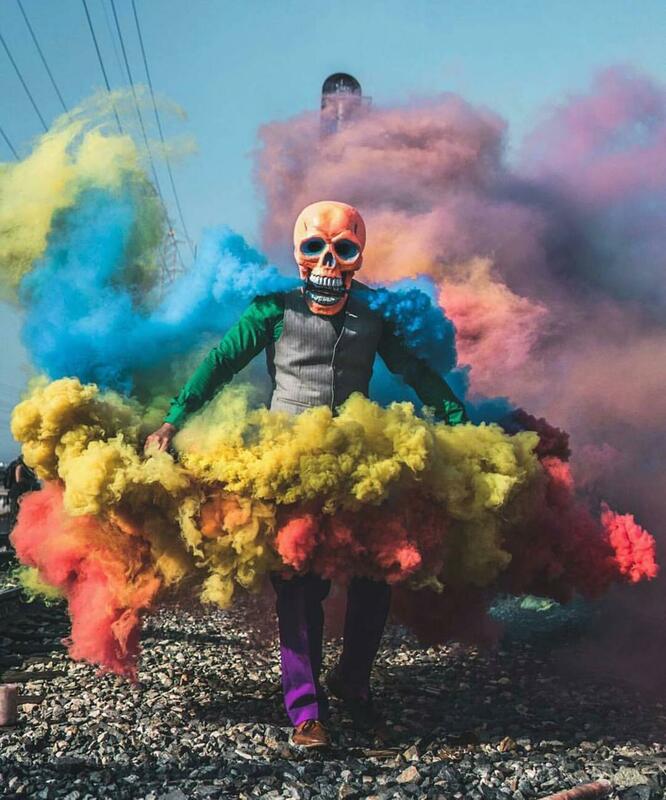 Here is Butch Locsin, aka Skeleton of color, an American performer who stages his masked character in explosive and ultra-colorful photographs! 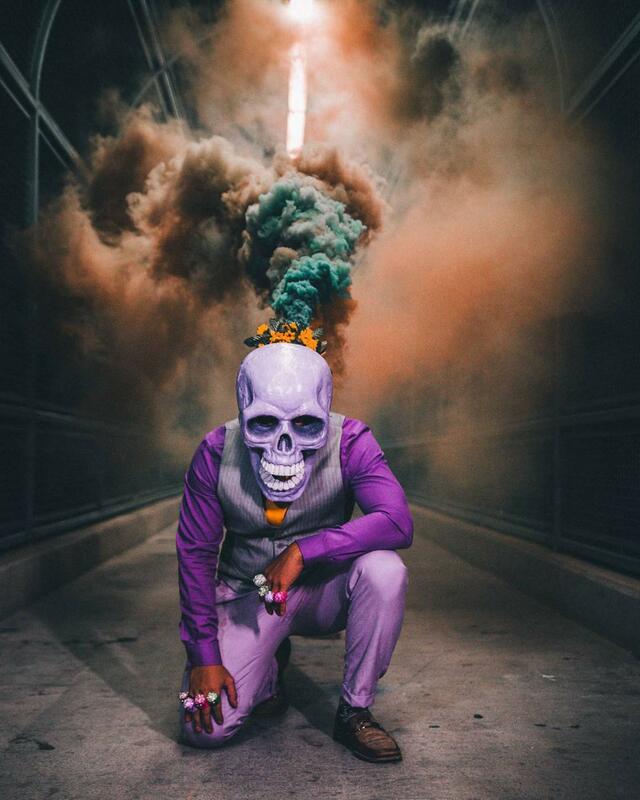 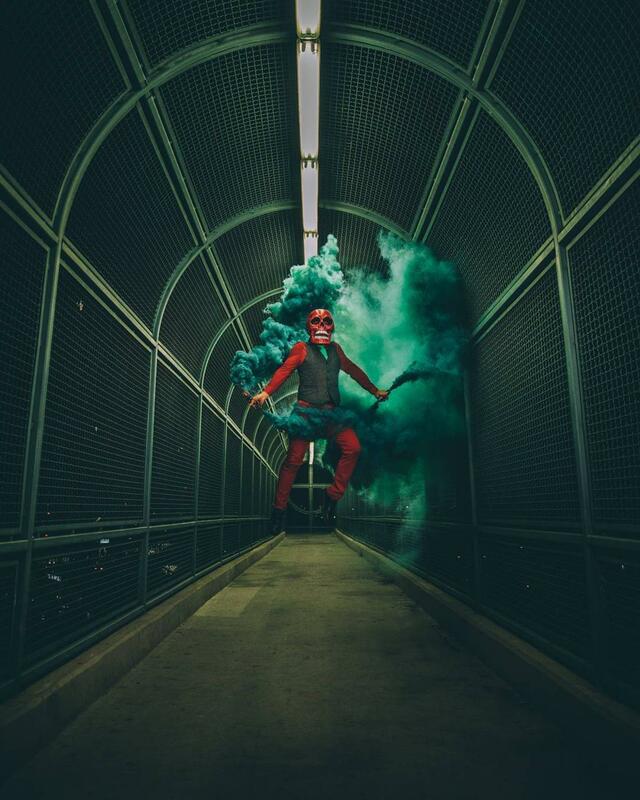 By mixing his Mexican roots, the spirit of the Day of the Dead, the modern aesthetics of Instagram and colorful smokes, Butch Locsin leads us into an incredible and powerful universe. 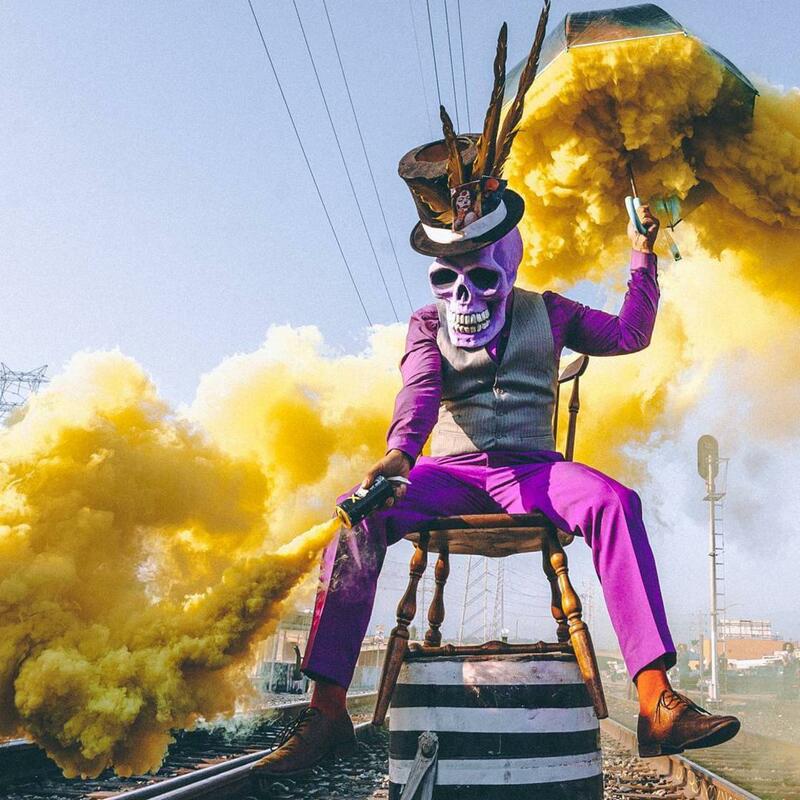 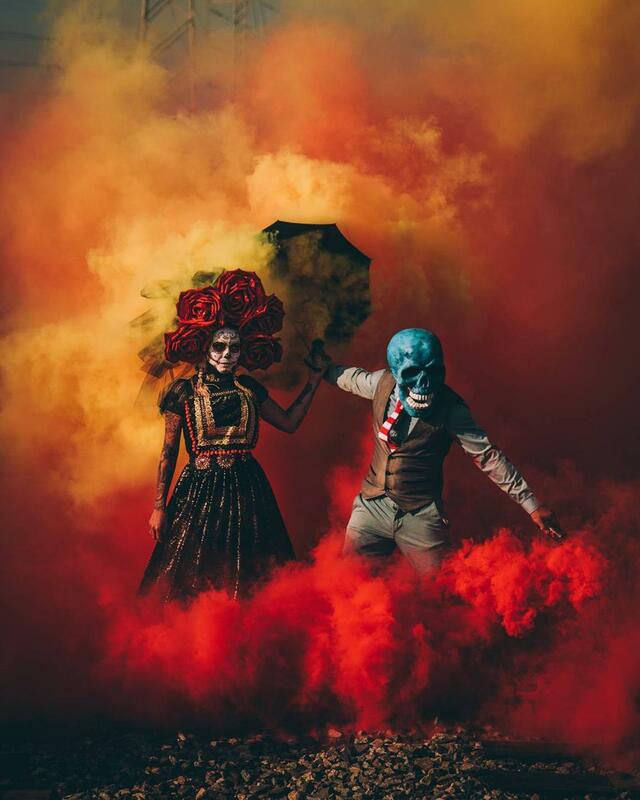 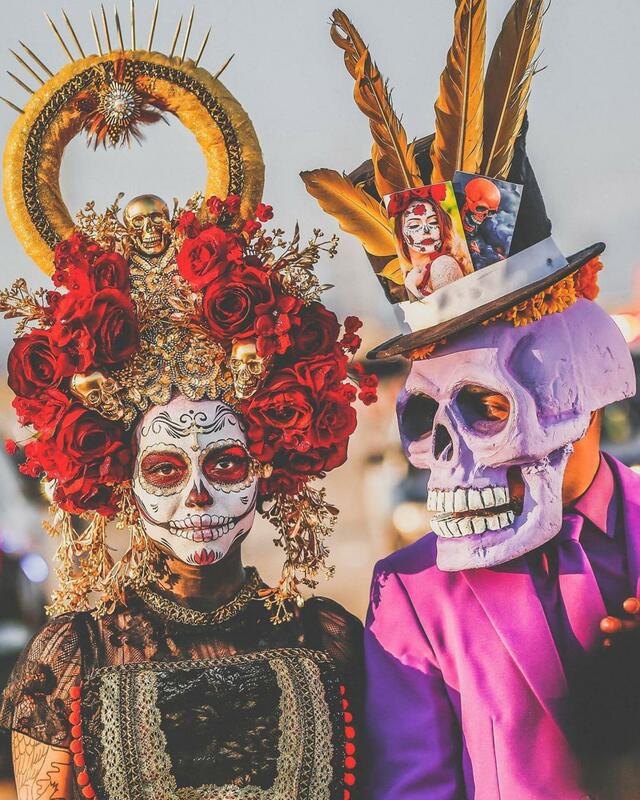 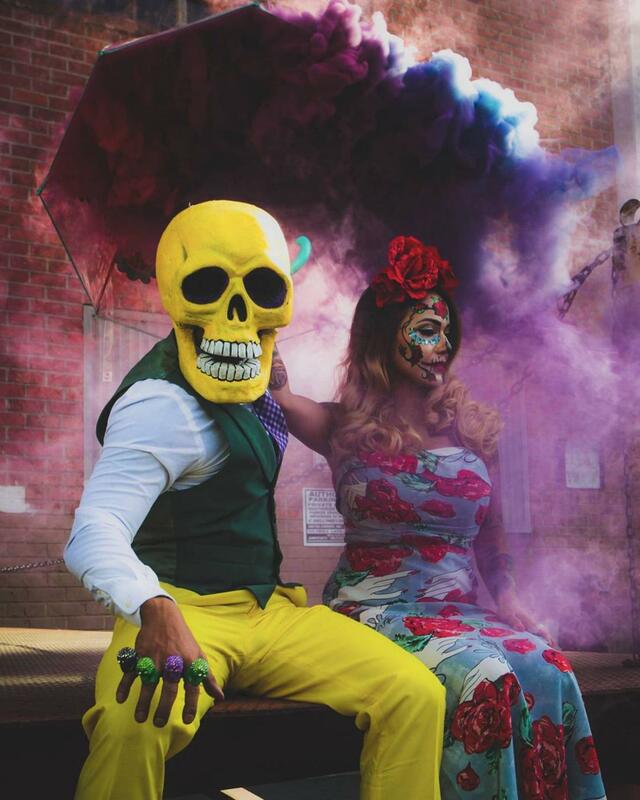 His character Skeleton of color now has a life of his own, and has just married Laspektator, the character created by María Spektor Perez, another Mexican artist. 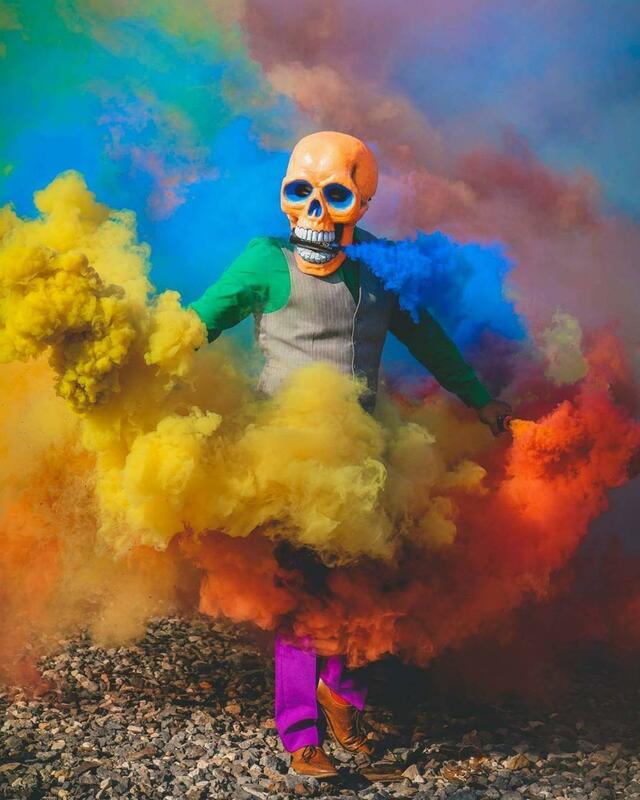 Two colorful artists to follow on Instagram!